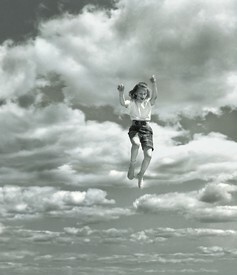 There is a sense of immutable, eternal life. And in these new works there is a sense about Cy’s own continuum—the ongoing quality of his great legacy and his art—it’s not a memorialization, it’s a living thing. 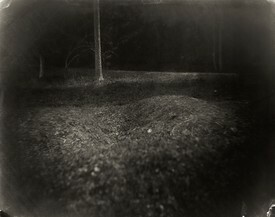 Gagosian is pleased to present Remembered Light, Sally Mann’s first exhibition in Athens. 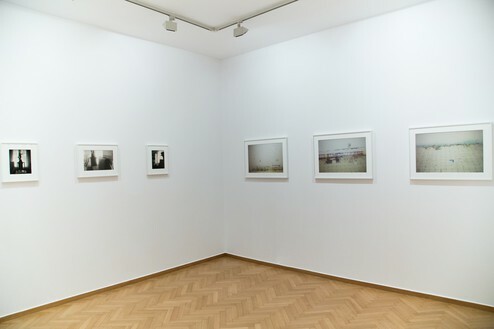 Mann is known for her images of intimate and familiar subjects rendered both sublime and disquieting: children, landscape, family, and mortality. In previous projects, she explored relationships between parent and child, husband and wife, brother and sister, nature and history. 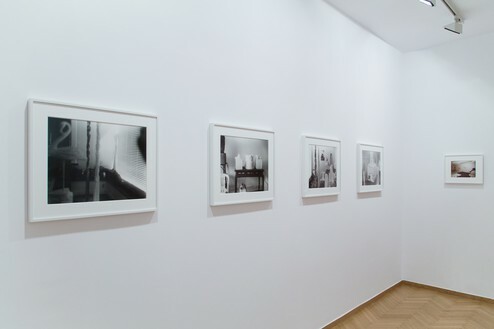 In this exhibition of color and black-and-white photographs, taken between 1999 and 2012, she records in fleeting impressions the studio of the late Cy Twombly, her close friend and mentor. 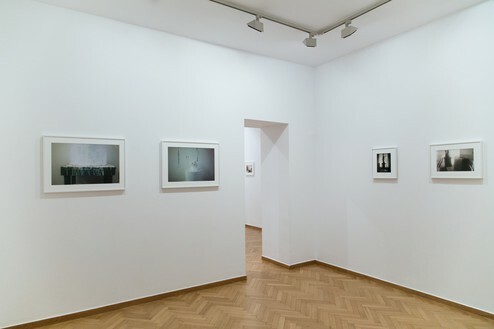 Following presentations at Gagosian New York, Paris, and Rome, this exhibition marks Mann’s first dedicated exhibition in Greece. 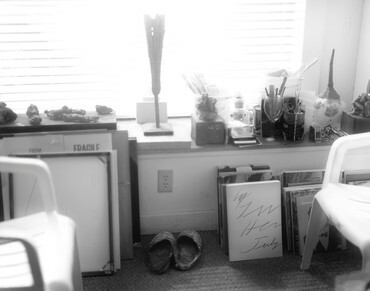 Under Mann’s gaze, and the warm light of Virginia, the accumulations and ordinary objects in Twombly’s studio reveal themselves not only as evidence of a richly imaginative and cultivated life lived and marked by tactility, but also as the overflow of his general modus operandi—in Simon Schama’s words, “the leftovers, smears, and stains, and an absence turned into a presence.” Remembered Light, Untitled (Solitary Print on Wall) (2012) shows a wall of the Virginia studio, and, stapled to it, a photograph taken by Twombly in Gaeta, Italy. In Twombly’s image, as captured by Mann, there is a just discernible view of a classical bust arranged with several vases; silhouetted by the coastal light, these shapes exude a quiet sense of nostalgia. 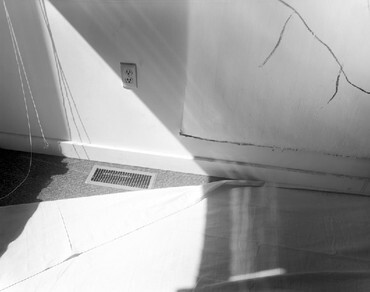 And with Remembered Light, Untitled (Squat White Sculpture and Paint Edges) (2012), she indicates the tactile processes leading to the creation of one of his sculptures. 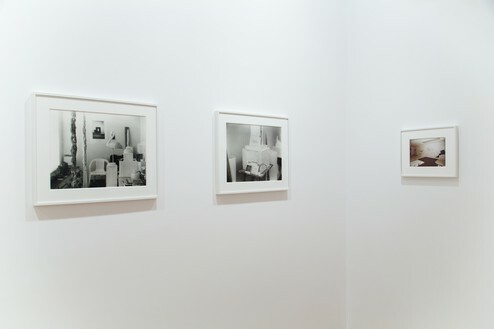 Even without the artist’s actual presence, she is able to vividly evoke the traces of his daily life and work. 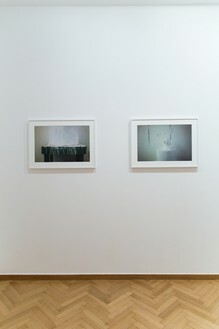 Mann’s poetic images of time recorded capture fragments and deposits of Twombly’s artistic life. 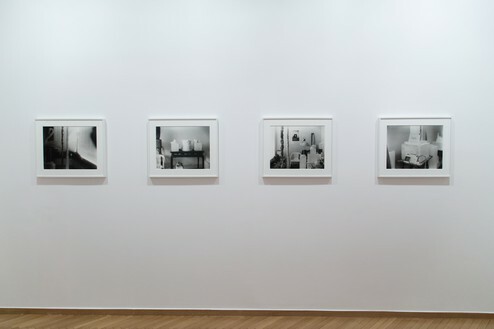 As well, they speak to her deft ability to record interiority and to her singular eye for the immediate, the intimate, and the present becoming memory. A fully illustrated catalogue with an essay by Simon Schama, and a conversation between Sally Mann and Edmund de Waal, published by Abrams, accompanies these works. 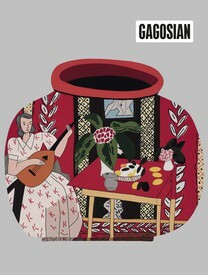 Η γκαλερί Gagosian παρουσιάζει την έκθεση Remembered Light, την πρώτη ατομική της Sally Mann στην Αθήνα. Η ματιά της Mann και το θερμό φως της Βιρτζίνια κάνουν τις συλλογές και τα καθημερινά αντικείμενα στο ατελιέ του Twombly να φαντάζουν σαν απόδειξη μιας ζωής γεμάτης φαντασία και έμπνευση, η οποία βιώθηκε αλλά και σημαδεύτηκε τόσο από την πραγματικότητα όσο και από το δικό του modus operandi – όπως το έθεσε ο Simon Schama “τα απομεινάρια, το επίχρισμα και τα σημάδια, και μια απουσία που μεταμορφώνεται σε παρουσία”. 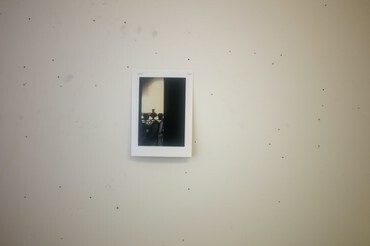 Το έργο Remembered Light, Untitled (Solitary Print on Wall)(2012) δείχνει έναν τοίχο στο ατελιέ του καλλιτέχνη στη Βιρτζίνια, πάνω στον οποίο είναι στερεωμένη με συρραπτικό μια φωτογραφία που είχε τραβήξει ο Twombly στην Γκαέτα. 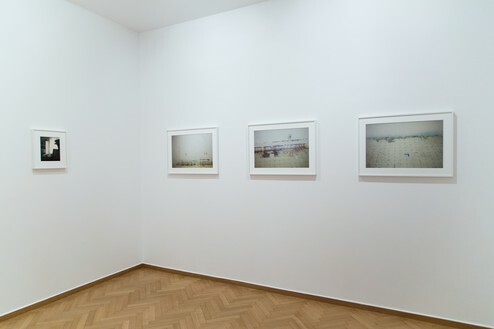 Στη φωτογραφία του Twombly, όπως την έχει φωτογραφίσει η Mann, διακρίνεται μια προτομή τοποθετημένη ανάμεσα σε βάζα. Υπό το φως της παραλίας οι μορφές αυτές αποπνέουν μια αίσθηση νοσταλγική. 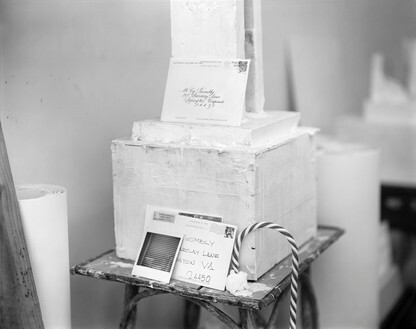 Με το έργο Remembered Light, Untitled (Squat White Sculpture and Paint Edges) (2012) η Mann δίνει μία εικόνα της απτής διαδικασίας που καταλήγει στη δημιουργία ενός από τα γλυπτά του. Ακόμη και χωρίς τη φυσική παρουσία του ίδιου του καλλιτέχνη, η Mann καταφέρνει να αποτυπώσει την καθημερινή ζωή και εργασία του. 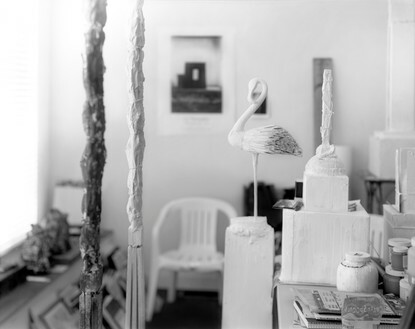 Edmund de Waal and Sally Mann discuss Cy Twombly’s relationship to photography, Mann’s pervasive interest in the American South, and the context behind her newest body of work. 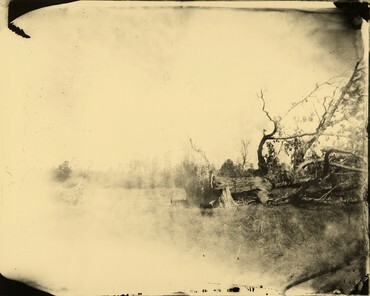 Drew Gilpin Faust discusses the Sally Mann’s landscape photographs of Antietam, a site that more than a century ago, bore witness to one of the bloodiest battles in the American Civil War. In Sally Mann’s new memoir Hold Still, her lyrical prose and startlingly revealing photographs make up an original personal history that has the page-turning drama of a great novel. In this interview with Derek Blasberg, she reflects on discovering family history, her relationship to criticism, and why she will never leave Virginia.